Yikes! That’s gonna leave a mark. On Wednesday, Wednesday, the entire Morning Joe panel attacked Democratic Party front runner, Hillary Clinton. One would expect criticism from Joe Scarborough, or the ultimately fair Ron Fournier of National Journal, but the bashing included the liberals on the panel like Eugene Robinson of the Washington Post, Sam Stein of the Huffington Post, and Mika Brzezinski. At issue was the previous day’s press conference when Fox News’ Ed Henry asked Ms. Clinton about the controversy surrounding her private email server. Ron Fournier said he counted six lies in her answer. Robinson blamed it all on Hillary’s sense of entitlement, and Stein said ignorance was not an excuse. And they all agreed that it was not a partisan controversy. One thing seems sure, HRC’s automatic adoration from the liberal media is eroding as quickly as her support among voters. Scarborough: I don’t know where to begin. There were so many things she said that caused people around this table to shake their head. It was so clearly false. And this is the thing she keeps doing with people that are even on her side playing them for fools. Ron Fournier, I was trying down the number of things that Hillary Clinton said yesterday that we all know are objectively false based on previous statements, based not opinion, but just outright false. How many did you count? Fournier: Yesterday I counted six. What she is doing is following the script that is laid out in that spin document last week that you can easily parse and see example after example of either deceptions, deflections or flat out untruths. If you’re saying something that you know is untrue, that’s a lie. I think by this time she’s got to know, for example, that it was against federal policy to have a server off the books and all of our e-mails on the server. She must know by now it doesn’t matter whether or not the documents were marked classified or not. There’s been people prosecuted for mishandling classified documents that were not marked classified. So she’s saying things she must know or certainly should know. 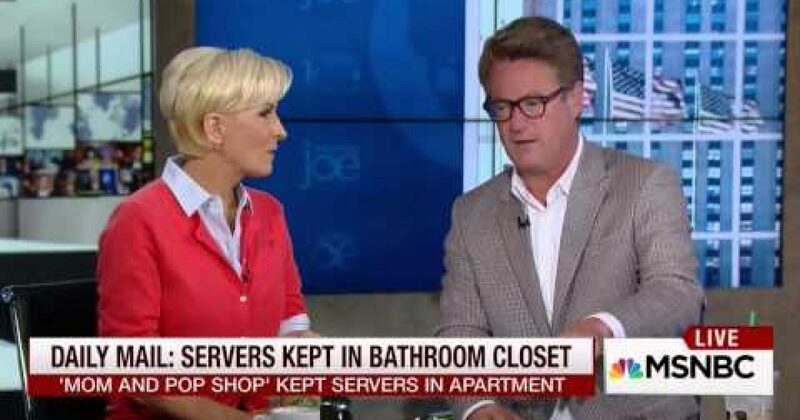 Scarborough: So voluntarily turning over servers and contacted the lawyer and said hold those, we’re going to need them You can go down the list. Fournier: It’s a long list. We keep writing over and over again, we keep saying over and over again that she’s — these are self inflicted wounds and it’s, you know, I’m kind of getting tired of the story, frankly, and hearing myself talk. But I know here’s what’s going to happen. The FBI is looking into this. The same person Petraeus is looking into this. The same person that represented Petraeus is now representing Hillary Clinton. She’s paying a big price politically. And she might pay a big price criminally. Scarborough: Gene Robinson, it’s — your name came up yesterday in the press conference. She obviously did not read your article. It was more stonewalling and more statement that’s are openly false. Robinson: We’ve already used the words self-inflicted. Hillary Clinton should not have to be answering questions like this at this point in the campaign. The reason she does is summed up in the phrase private e-mail server. Scarborough: By the way, a private e-mail server we found out yesterday from the Daily Mail was kept in a bathroom closet in a Denver, Colorado, condo. That’s where America’s national security secrets were being kept. Fournier: And not a server she turned over. It’s a server we found out about because of a congressional investigation. Scarborough: It’s in a bathroom condo. Robinson: It’s inevitable that information that shouldn’t is going to transit that machine at the very least. And probably reside in that machine. You put that fact against statutes and you potentially have a problem. Scarborough: Yeah. And there is a huge problem. I mean the fact that, again, this small business that nobody ever heard inform Denver, Colorado, kept their servers, again in, a closet in a bathroom in Denver, Colorado in a condo is breath taking. I will tell the people at home is wondering if is this partisan. I don’t think anybody thinks this is partisan anymore because the FBI… I can tell you I got flooded with e-mails and if you want to know where a collection of gasps came up during Hillary Clinton’s e-mail conference, I mean the conference? The White House. White House people working in the White House cannot believe she keeps saying that this was okay with the White House. That this was okay according to the law. They cannot believe it. Inside the Obama White House that she continues to act this way. Brzezinski: Well, and then there’s questions for the state department. But Michael, before it gets to you and what Republicans can do with this, people like Sam Stein have questions to ask and I think it becomes at this point not a partisan attack. I can’t think of a way to move forward if I had an opportunity to interview Hillary Clinton without saying I don’t have an answer to this question. It doesn’t make sense. And we’re worried that you haven’t told the truth. Stein: Yeah. I mean, we could all have anticipated this moment 5 1/2 months ago when the story first broke, right? Brzezinski: No, actually, a lot of people didn’t. Stein: I’m saying they could have made the calculation that this would be the inevitable end game of the story. 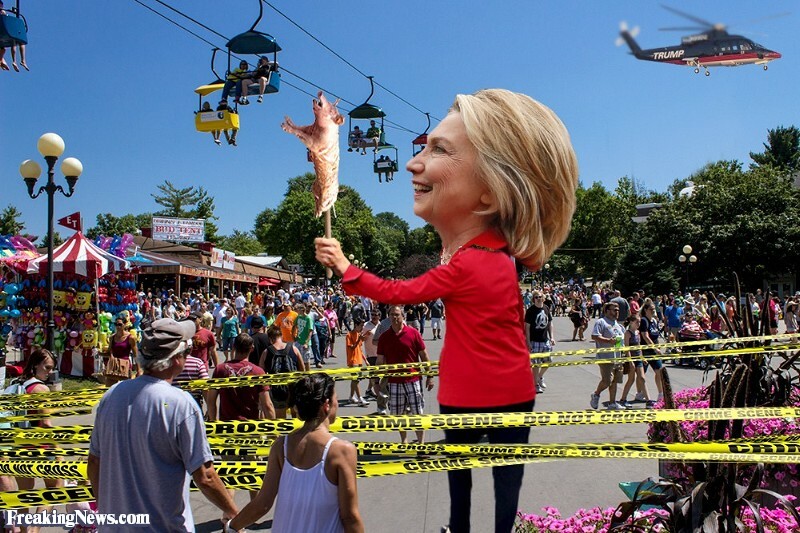 And they could have gone ahead of it a little more than they have by voluntarily turning over the server, by sitting her down and having her answer questions in the immediate moment that had become revealed she was only using private e-mail account, for instance. Fournier: Why do you think she did that? It was the right thing to do. Why do you think she did? Stein: Why I do think she did that? I think there’s a mix of things here. One is I think they do legitimately believe that while, yes, she was skirting the letter of the law here, she wasn’t doing anything fundamentally different than previous secretary of states. I think they believe. That I’m not saying I believe it. They believe that. That they also believe that she, like every other public servant is entitled to having private e-mails. Now, that doesn’t mean she should control which ones are public and which ones are private. They do believe she has entitlement to have the private e-mail account. There is a sense she was doing things slightly different. Stein: Don’t take ignorance as an offense. This brings up a very important point which is you know, we will find out eventually how bad the situation is for her as we come to know how many e-mails should not have been on that server. Maybe what the e-mails said. I doubt those will get public. But there is a broader point that you’re getting at here which is also troubling which is she surrounds herself with people who are afraid to tell her no. You can’t do that. Scarborough: One of the most disturbing parts is when she says you’re the only ones telling me about this. That is the first true thing she has said, because she is surrounded by people who were afraid to tell her truth. Brzezinski: But people are interested in this. A couple things, new national polling among Democratic voters is out. Just crossed. Hillary Clinton is 47% down from 56% in July. Bernie Sanders is up 29%, up from 19% in July. And just to your point here, I want to get to Michael Steele. They acknowledged there was an attempt to wipe the server before turned over to the FBI, which is disturbing.